When you think of liver disease, alcohol is probably the first thing that comes to mind. You may be surprised to know that obesity is the number one causes of fatty liver disease in Canada. In fact, a new term has actually been developed for this disease – Non-Alcoholic Fatty Liver Disease (NAFLD). Many people may not even know what fatty liver disease is and do not understand the serious complications that go along with it. Fatty liver disease occurs as the result of an overabundance of fat in the liver cells. This happens when a person eats more fat than their body is able to handle. The fat that a person eats is processed in the liver and if a person eats more fat than what is necessary for their body’s normal functioning, there is a buildup of fat in the fatty tissues. A fatty liver is a liver where fat cells make up 5-10% or more of the liver. Fatty liver disease has ranges of severity from a simple fatty liver to a fatty liver with inflammation and scarring to cirrhosis. Cirrhosis of the liver due to fatty liver disease is becoming much more common and is quickly becoming a leading cause for liver transplants. With an increased demand for liver transplants, liver transplant waiting lists are becoming longer which is another cause for concern. Some individuals with serious liver disease due to obesity may have organ failure before they are able to receive a transplant. Approximately 25% of Canadians are obese according to a recent Statistics Canada report. Furthermore, about half of all Canadians are overweight. According to this report, Canadian obesity rates have been on the rise for the past 20 years. This is cause for concern as obesity has been associated with fatty liver disease along with a number of other health problems including: cardiovascular disease, hypertension, diabetes and some forms of cancer. The Canadian Liver Foundation states that approximately 75% of obese individuals will end up with a fatty liver. What is even more startling is that childhood obesity rates are quickly on the rise. It is estimated that one in ten children is overweight. A few reasons are to blame for the increased incidence of obesity in children, including: high calorie foods, large portion sizes and non-active lifestyles. Diets of children are usually high in calories, simple sugar and fat and are low in fiber. This put them at risk of liver disease – fatty liver disease is being seen in children as young as four years old according to the Canadian Liver Foundation! In order to prevent fatty liver disease there are a number of things you can do. These include: making healthy meal choices, exercising regularly and avoiding alcohol. 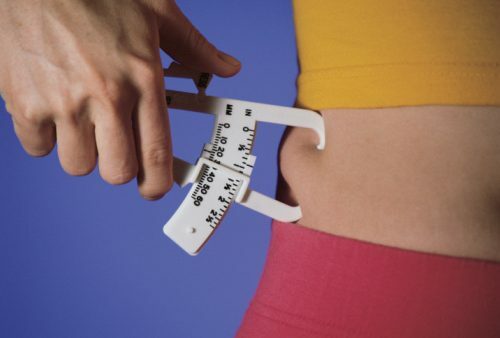 Additionally, if you are over-weight, gradual weight loss is recommended. With the dramatic increase in childhood obesity over the past few decades it is vital to start instilling healthy lifestyle habits into your children. Set a positive example for your children; it could save them a lifetime of health problems.